Please note that I was given complimentary samples of each of the dishes featured in this post. As always, all thoughts & opinions are honest & my own. Roaring Fork has been on my list of restaurants to try for quite some time, so when I got word that our monthly Austin Food Blogger Alliance happy hour would be at their Stonelake location, I was beyond excited. I knew that this would be a can't-miss event. 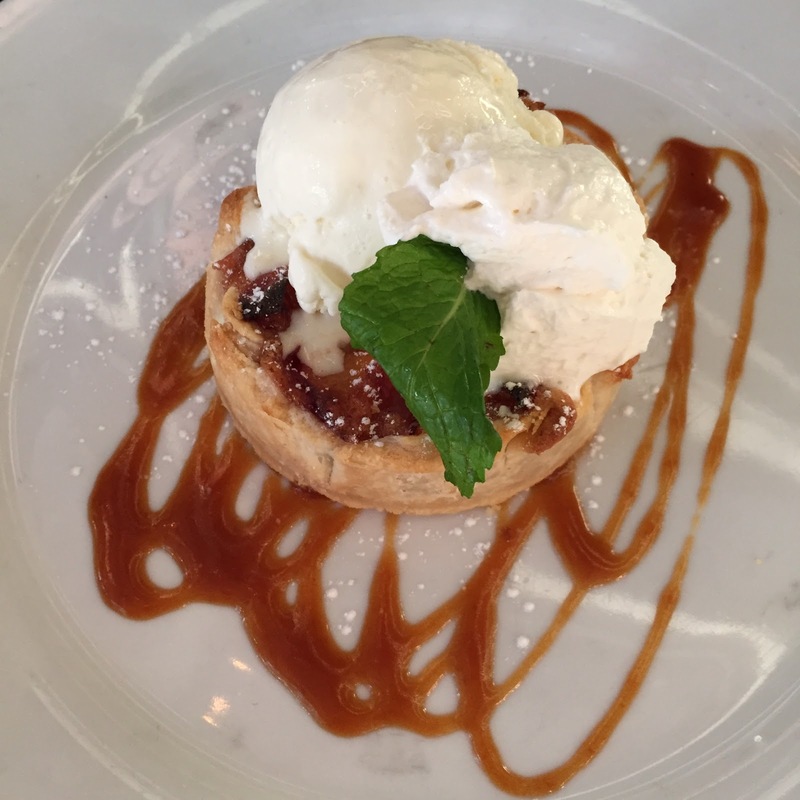 From start to finish, we were treated so well; informed, friendly staff, pretty patio views & a variety of amazing dishes. I left full, happy & ready to plan a date night at Roaring Fork soon. 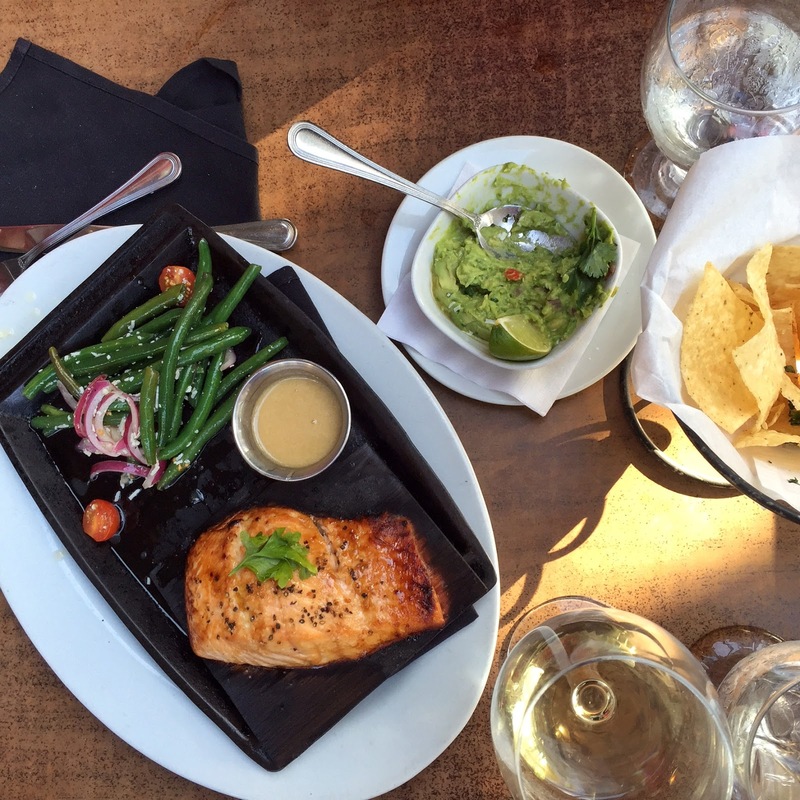 We were seated on the spacious patio overlooking the lake, where we feasted on a spread of Roaring Fork's finest. The evening started with a kettle of creamy green chili pork, served with warmed flour tortillas, crispy flat bread topped with pesto, spicy roasted chilis, pepper jack & tomatoes & the fresh guacamole pictured above. 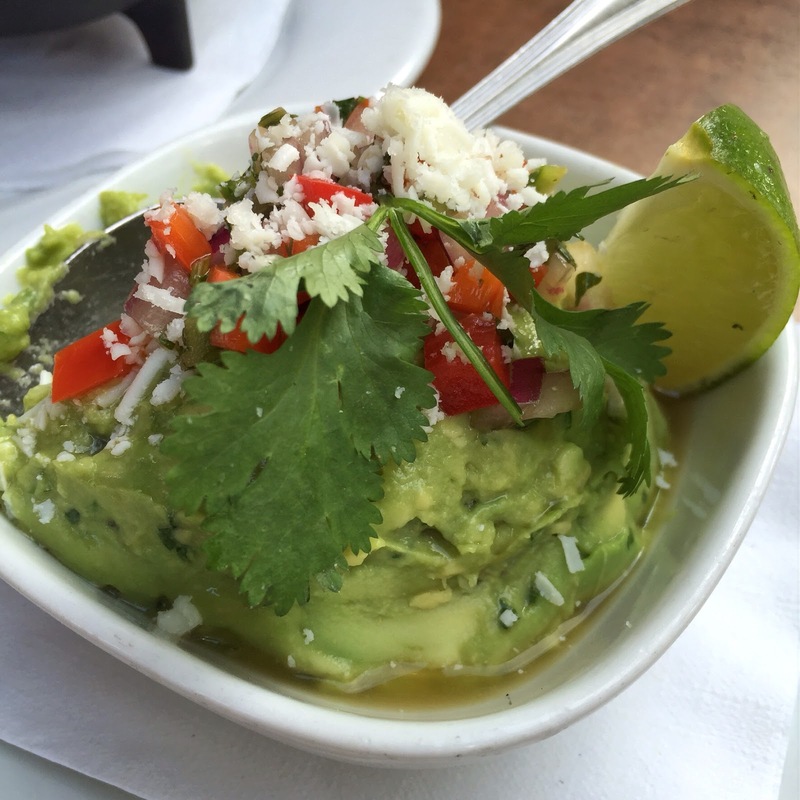 This guac had a bright flavor, smooth texture & the slightest hint of spice, just the way I like my avocados. 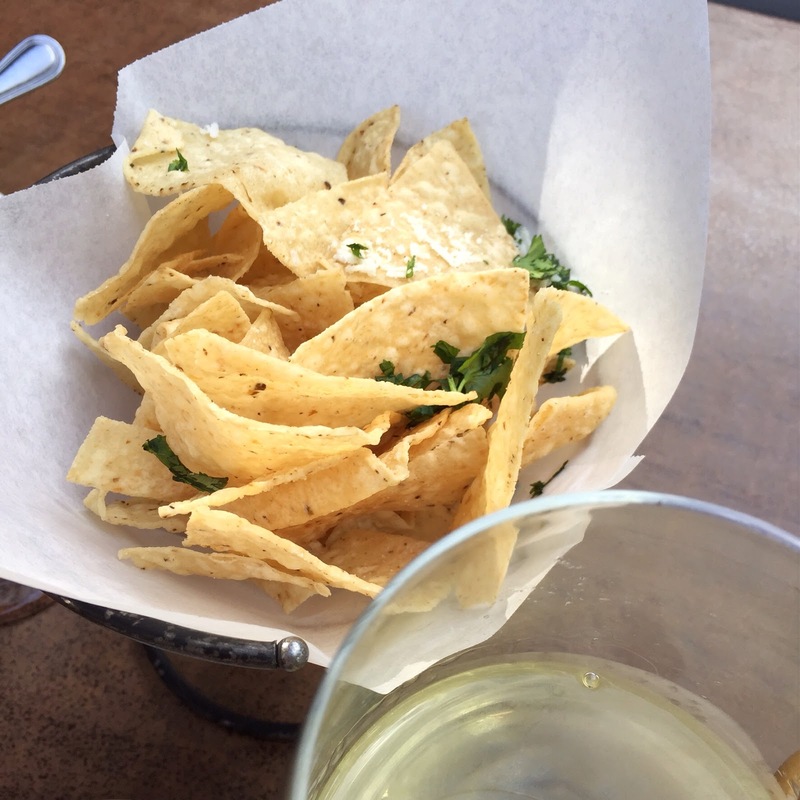 The freshly fried, crispy corn tortilla chips served as perfect dip vessels. Next up, were my favorites of the evening: the entrees. Each impressive & delicious in their own right. The cedar-planed salmon was incredibly fresh & the sweet teriyaki BBQ sauce complimented the fish, without overpowering it. The chilled green bean salad was a crisp, refreshing side. Bacon-wrapped tenderloin was cooked so well, & I loved the accompaniments of this dish the most. 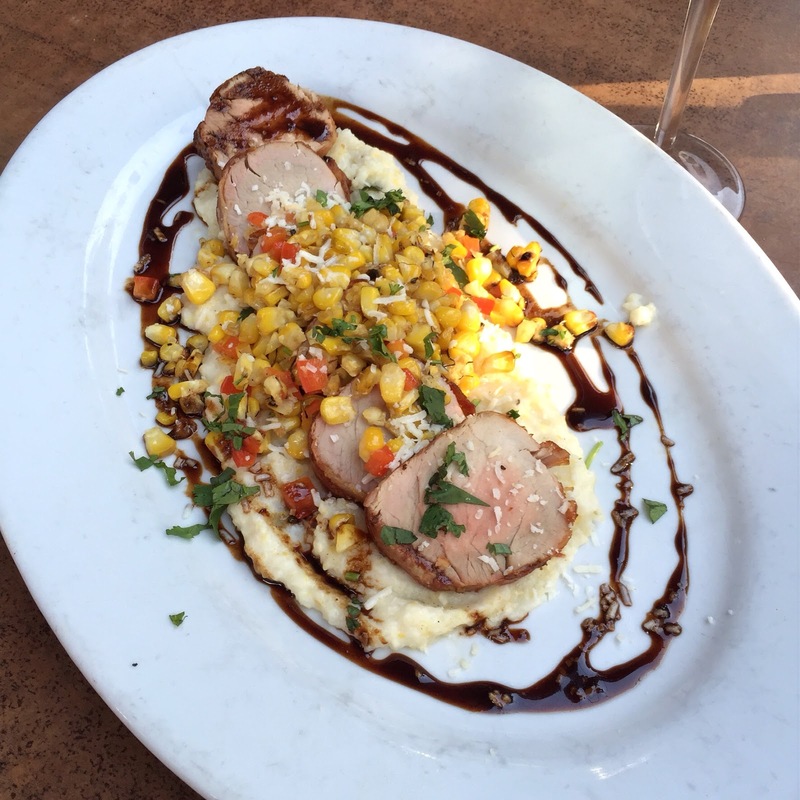 A velvety bed of cheese grits & a corn medley over the top with a rich glaze made the pork really shine. I would visit Roaring Fork again, just for a plate of this goodness. Wood fired steak with a kettle of Roaring Fork's famous Green Chili Mac & Cheese was our last entree of the evening & an excellent way to finish our entree course. 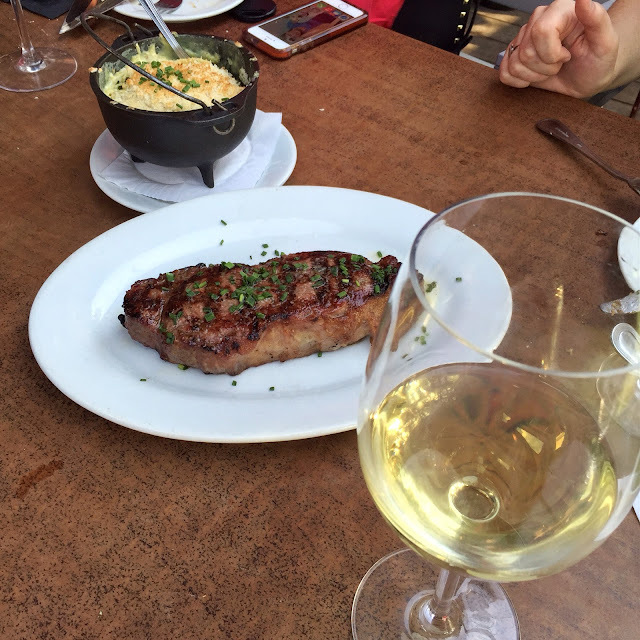 It was a decadent, tender steak that melted in your mouth. 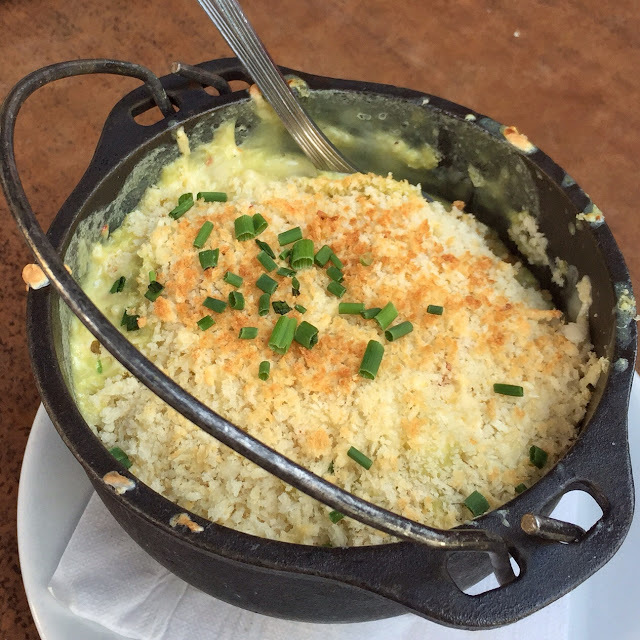 Mac & Cheese served as a lush, cheesy side. Desserts! 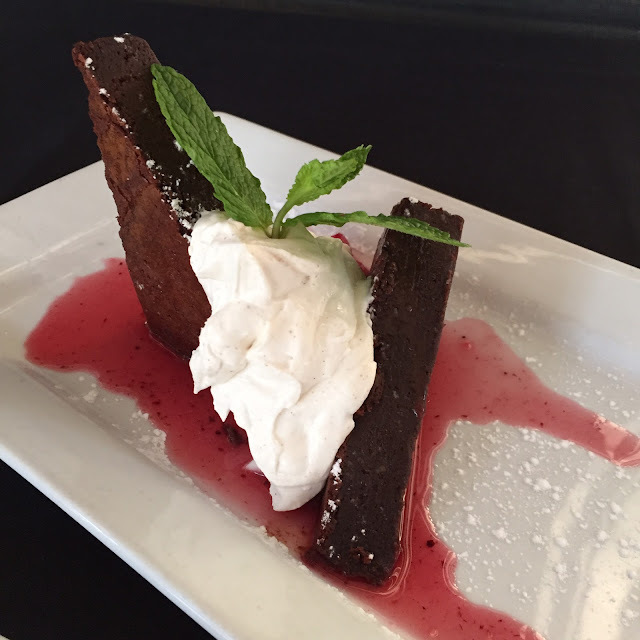 Roaring Fork knows the way to my heart & these desserts were a lovely farewell to our happy hour. 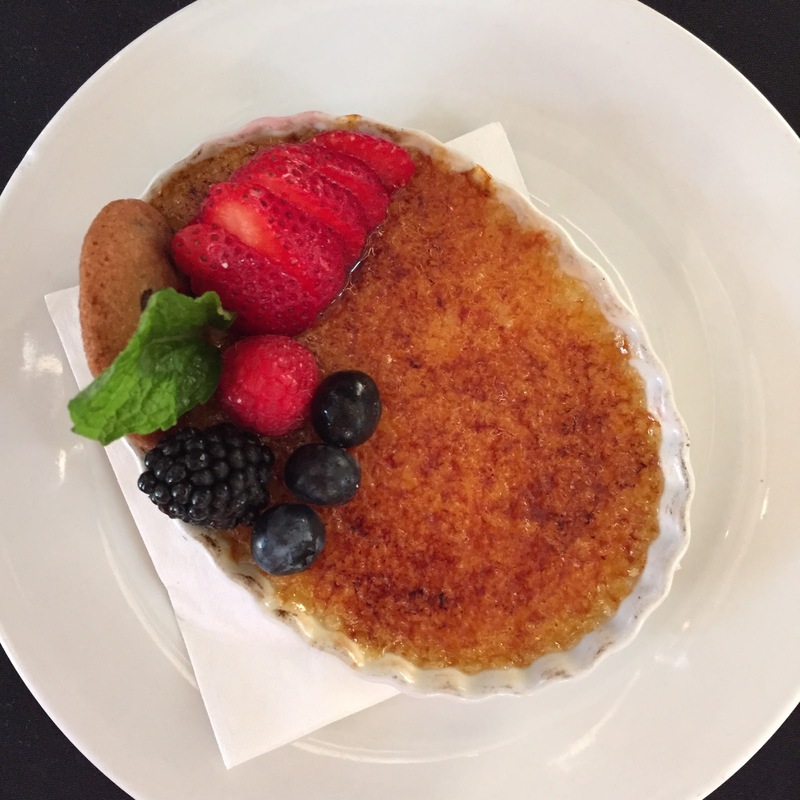 Mexican Vanilla Creme Brulee, Pecan Pie, Flourless Chocolate Torte & Huckleberry Cheesecake. Each had a unique, delicate, richness that wasn't overly sweet & each was delicious enough that I would seriously think twice about letting my husband sneak bites. I would probably make him order his own. 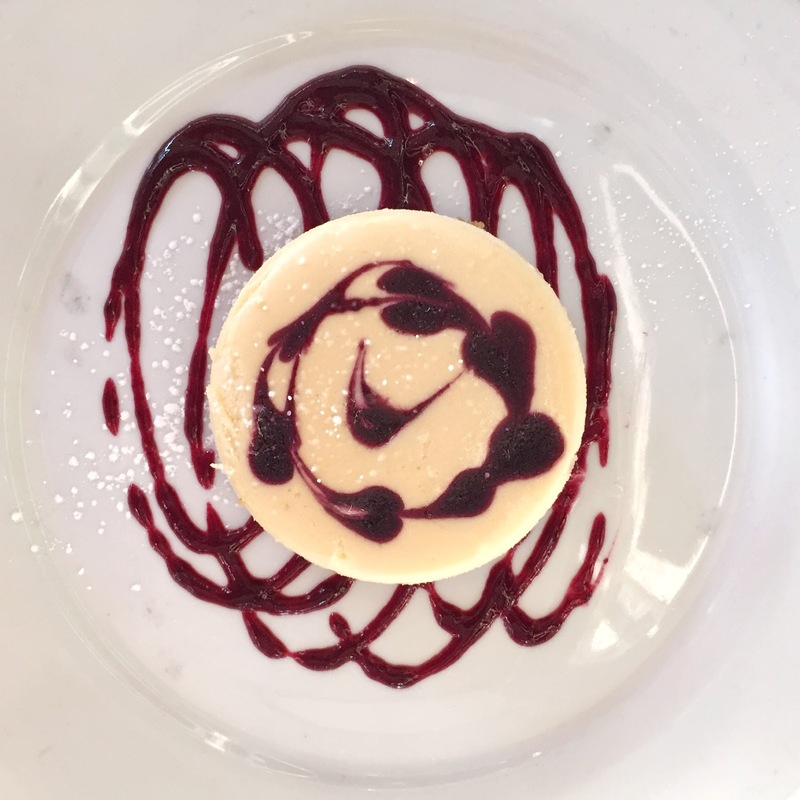 :) I am a dessert-lover & always appreciate an end of meal treat that plays with different flavors, rather than just relying on a big punch of sugar. Roaring Fork Stonelake offers a large patio with beautiful views of Quarry Lake, a Sunday brunch from 11am - 4pm and a happy hour, featuring specials on margaritas, signature drinks, house wine & beer, offered from 4 - 7pm daily.